Spy gadgets have always been a hit among all age groups. Whether it’s hidden cameras or tiny microphones, everyone is entertained by them. In recent years, hidden camera glasses have become the trend among spy-loving fans. The simple fact that people can walk around recording what they see without anyone knowing is amazing. Of course, such a power wouldn’t come without a price. These hidden camera glasses are relatively expensive, so if you want to get your money’s worth, research needs to be done. In this article, we’re going to look at some of the best spy glasses out there. Before we take a look at spy glasses specifically, let’s focus on – Spyzie. The thing about spy hidden camera glasses is that you have to follow someone to spy on them actively. This can be exhausting, time-consuming, and frankly, it could be a waste of time. Whereas Spyzie, on the other hand, can be used remotely and is just as effective. With Spyzie, you’re able to track your target’s text messages, location history, internet activity, and much more. Unlike spy glasses, you can do all of this from a computer in the comfort of your own home. 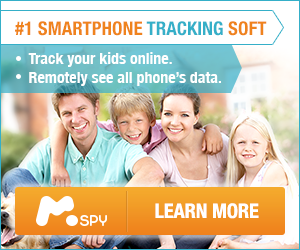 Get to know how to spy on someone via Spyzie. Another benefit that there is to using Spyzie over spy glasses is the data that you can collect. Unlike spy glasses, Spyzie collects a lot of data from the target’s device for you to view. This is truly the best piece of spying equipment you’ll find. Next up we have the Liquid Image Apex. This is definitely a top pair of hidden camera glasses and is popular among snowboarders. With the built-in HD camera, you can record videos at either 1080P (30 FPS) or 720P (60 FPS) – both of which are extremely fantastic video quality. The camera itself has a wide field of view of 135 degrees, is 12 megapixels, and even has a built-in microphone. To top it off, the microphone has a wind-guard meaning that if it’s windy outside, you don’t have to worry about distorted audio! Liquid Image Apex glasses can also have their feed live-streamed to smartphones via Wi-Fi. One disadvantage to glasses is that they have a small storage capacity meaning you are limited on your recording abilities. Next up, we have the wonderful (but expensive) Ultra Wide-Angle DVR glasses. Coming in at a massive $160, these glasses look very similar to sunglasses and provide a lot of storage for your recordings. With these glasses, you are able to record videos in 1080P quality, and the battery lasts for around 90 minutes. Concerning storage, 8GB of internal storage is provided although you can expand up to 64GB if needed. While the sleek design may be appealing, if your target notices them and thinks that they look strange, they’ll know you’re spying on them. While they don’t exactly hide the fact that they’re spy glasses, they are very impressive. With a price tag of $40, these glasses record at 720P resolution and can be used for taking both photos and videos. Furthermore, there’s also a microphone allowing for audio recording. The one downside is that only 4GB of storage is available – this is around 20 minutes of recording time. That being said, if you’re just looking for some cool hidden camera glasses, you’ve found them. Taking the price up to $200, the Pivothead Durango glasses are another incredibly impressive pair of sunglasses. One of its key attractions is the 1080P video quality and the blue tint on the lenses. On the technical side of things, the camera has an 8 megapixels lens and records at 30 FPS. They are optimally used for sports although, regardless of what you’re purchasing them for, they’re a great pair of spy sunglasses. The only downside to these sunglasses is that the location of the camera makes it very visible. The main attraction with these hidden camera sunglasses is the warranty. That’s right, the first pair of glasses on this list that comes with a 1-year warranty that covers any damages! Starting at $199, these sunglasses have a pinhole lens (very natural looking), 64GB of internal storage, 72 degrees field of view, and recordings can be triggered with one click of a button. Given the hefty price of these glasses, you might feel discouraged. However, keep in mind that if you break them, you’re able to get another pair for free. One of the options for hidden camera glasses, if you are on a budget, is the Wosports Video Spy Camera Sunglasses. We won’t deny that they aren’t the most impressive set on this list. However, if we consider the fact that the price of them is only $66, it’s clear they are worth much more. These glasses have a built-in rechargeable battery which lasts around 90 minutes, records videos at 720P video quality, and provides UV protection. Their stylish finish and flexibility make them a popular choice for many beginners. All in all, these are definitely a unique pair of spy camera sunglasses that are worth checking out. If you have a child who is desperate to get into the spy game, this is a great beginner set for them! At first glance, we can quickly see that these are a very cool looking pair of glasses. In fact, this is one of the main reasons for us mentioning them! Of course, this is also a huge disadvantage to the design as it makes them very noticeable. Active-I glasses are relatively cheap (coming in at $30) and are very easy to use. The camera is recorded via VGA, records for a reliable amount of time, and also capture audio using a microphone. Phazzer DVR 3.0 hidden camera glasses are actually more impressive than they look. We can’t argue that the design of them is questionable and makes them look like a child’s toy, but the price argues otherwise ($100!). If we look at the technical aspects of them, we can see that they come with 4GB of internal storage (which can be upgraded to 8GB), records at 720P (and 30FPS), and has a 3 megapixels lens. Lastly, they also have a built-in microphone for audio capture too. Last on our list we have the Toughsty Hidden Camera Hunting Sunglasses. While these aren’t great for spying on people they are, as their name signifies, great for hunting. The camouflage design prevents animals from seeing you, and if you’re just out in the nature birdwatching, you can record the different species that you see. With a fairly average price tag of $159, these sunglasses come with 1080P video recording, a battery life of just over 2 hours, and built-in storage of 8GB (that you can expand up to 32GB if need be). Considering that there are hundreds, if not thousands, of hidden camera glasses out there, all of the ones that we have listed above are fantastic. This type of spy equipment can be used for fun, as a hobby, or spying on someone – there are endless possibilities. Now, keeping in mind that we recommend – Spyzie, if you definitely want to purchase camera glasses then consider checking out Spyzie too. With hidden camera glasses working alongside Spyzie, you’ll know everything about your target.